Psychology and Investing: China & Hong Kong - Property Bubbles and Euphoria. China & Hong Kong - Property Bubbles and Euphoria. shock horror…. real estate agency! (I was not at all surprised). This is in an area where there has to be at least one retail real estate agent every 60-70 metres along all the main roads of Midlevels, Central, Sai Ying Pun, Pokfulam, The Escalator, and Causeway Bay (well - all of the north of HK Island actually). In fact, it seems that real estate agents are competing to rent the spaces that they should be trying to rent out to good shop tenants! 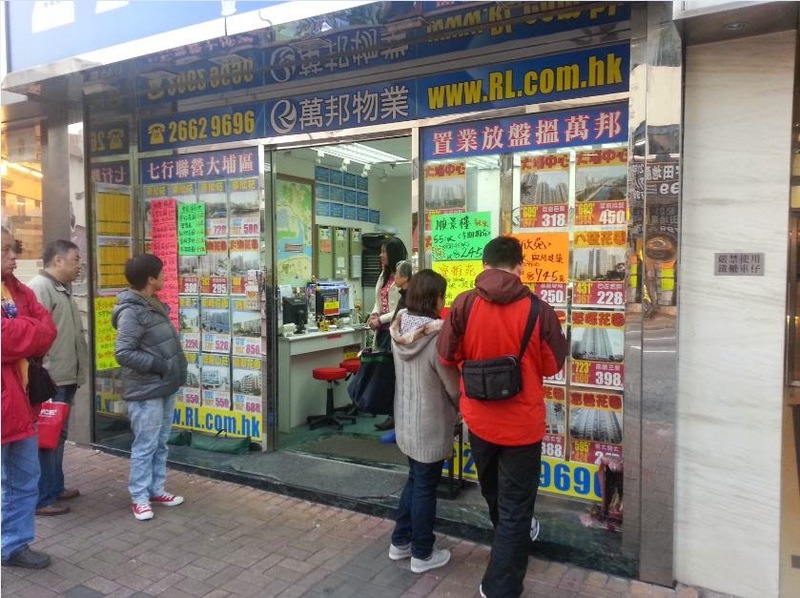 Is this the proof that there is a property bubble in HK/China? Not necessarily I think. Is this proof that there has been bubble like behaviour occurring with respect to property, and the marketing of property to as many people as possible? Yes I believe so, and its been occurring for years. Too many times discussing HK property with colleagues, I have heard the standard response of “HK property always goes up” / “It will stay up as long as the Mainlanders are buying, and have so much money,” etc. But people have already forgotten (unless they were hurt), by the huge reduction of prices when SARS hit HK in 2003, and it took Ten Years for their equity to be regained. Why? Because SARS caused a surge of fear that was unheard of previously. Were they scared of SARS destroying their property though? I don’t think so - they were scared of the collapse of the property market that was occurring due to Fear becoming contagious in HK. SARS after all is a respiratory illness that cannot hurt a property itself. So can HK property collapse again as much as it did in SARS? Sure, just add fear. Fear of recession, fear of a hike in interest rates and loan servicing ability (we are pegged to the USD and their low rates in HK), fear of a pullout of money from Chinese Mainland investors, fear of job losses, fear of currency devaluation or depeg, But one thing is for certain, there will be less real estate agents after that, and maybe a few good coffee shops finally. I don’t know if it will happen or when, but its certainly interesting walking around HK, looking in agents windows, were a tiny unit can cost as much as several dozen acres in the USA, and where rent can easily outpace the actual full salary of a professional employee.